The American National Heart, Lung, and Blood Institute (NHLBI), via the American Heart Association and the American College of Cardiology have just announced a radical change to the way that statins will now be prescribed. Despite the apparent prestige of the organisations disseminating the new guidelines, this marks the beginning of another dark chapter in the history of medicine. As we all know, the guidelines were previously based on arbitrary cholesterol numbers. This focus on getting millions of peoples' cholesterol levels below an arbitrary threshold has caused a great deal of harm. The situation was already horrific. But now, it is set to get much worse. Now that the cholesterol thresholds have been driven down, the next attempt to convert even more healthy people into patients is to put less emphasis on the cholesterol numbers and just start medicating almost everyone regardless. It might seem like I'm exaggerating, but I'm not. Both the previous guidelines and the new ones use a risk scoring system to determine a person's eligibility for statin medication. Various scores are put into the calculator such as cholesterol levels, blood pressure, etc., and a magic number pops out of the algorithm that is supposed to represent a person's risk for having a cardiovascular problem of some kind in the next 10 years. This model is of course completely flawed. It is based on not only commercial interests but also academic arrogance. The idea that we can precisely determine an individual person's risk with a few selected parameters is nonsense – especially when these parameters ignore many other factors that are known to be major contributors to heart disease. It seems that I wasn't the only person having problems with it! However, putting this huge issue to one side, and assuming the largest health authorities in the world can eventually fix the spreadsheet, the other major problem is the lowering of the risk threshold that is now going to be used. Previously, anyone who comes out of the algorithm with a 10 year risk of 20% or more was considered eligible for statin medication. Now, with the new guidelines, you only need to have a 10 year risk of 7.5% or more in order to get a statin. In fact, in the report detailing the guidelines, the expert panel even suggest that people below the 7.5% risk level could also be eligible for statins. There have also been some changes to the way that the calculation itself is done. All things considered, it is probably fair to say that (once the spreadsheet is fixed) the new guidelines double the number of people who are eligible for statin medications. According to the BBC, Dr George Mensah, of the American Heart Association, told the Associated Press news agency that the guidelines were based on solid evidence. Considering the fact that statins do not extend life expectancy when used for prevention it is pretty impossible to believe Dr Mensah. We already know that the previous guidelines have led to the mass over-prescription of statins for people who, all the clinical data shows, will not benefit. If this was not bad enough, the harm that has been caused is now set to double. And this is thoroughly disgusting. In addition, a previous Cochrane meta-analysis did not support the use of statins for prevention. The researchers stated the potential benefit was so small that it could have been down to chance. In this previous Cochrane meta-analysis they also highlighted the fact that around half of the clinical trials they included did not report on the adverse effects of the statin. The other piece of 'evidence' that is quoted in the report (the Cholesterol Treatment Trialists Study) is even less convincing. 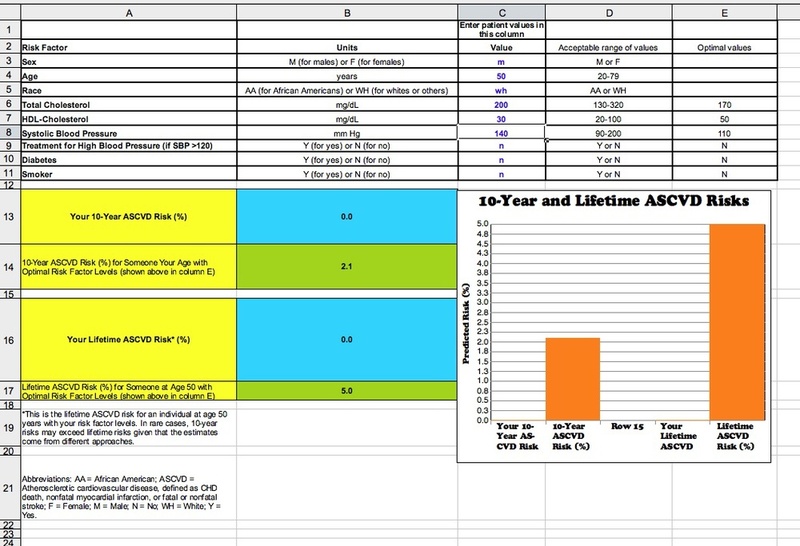 The researchers in this case did not publish the data for total mortality in the main report – in order to see that data you have to look in the supplementary appendix. The table below is copied from the supplementary appendix published alongside the main trial report. It is immediately obvious why the researchers chose not to make a song and dance about these results. Since it is clear that the statin only reduced the risk of dying from any cause by 0.07%. And what about all of the other studies that have shown statins have no impact on life expectancy? Such as the meta-analysis completed by Professor Kausik Ray, published in the Archives of Internal Medicine. Even if we can trust all of the data currently published by the drugs companies about their own products, the absolute best case scenario is that statins (when used for prevention) have considerably less than a 1% benefit and a 20% risk of significant adverse effects. When considering the adverse effects of statins, the expert panel should also have been aware of the more than 300 adverse effects of statins that have now been documented. As reported by GreenMedInfo.com after an extensive review of the medical literature. 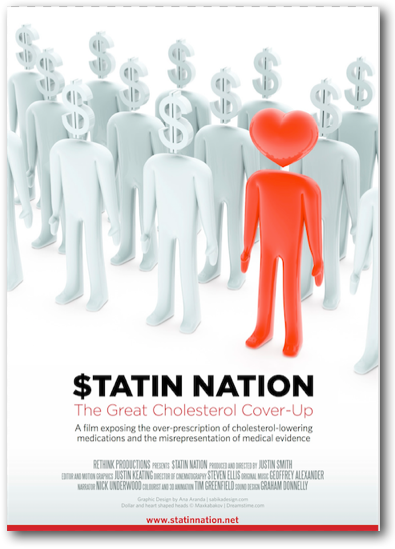 Statin Nation now available with 21 extra videos and the eBook 101 Causes of Heart Disease.